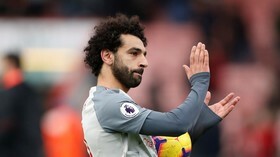 Mohamed Salah was in blistering form as he bagged a hat-trick to help Liverpool trounce Bournemouth on Saturday, but the Egyptian star refused to accept the man-of-the-match accolade, instead handing it to teammate James Milner. Salah struck once in the first half and twice in the second in a fine individual performance that saw him move to 10 league goals for the season and put Liverpool top of the table as they won 4-0 at the Vitality Stadium. 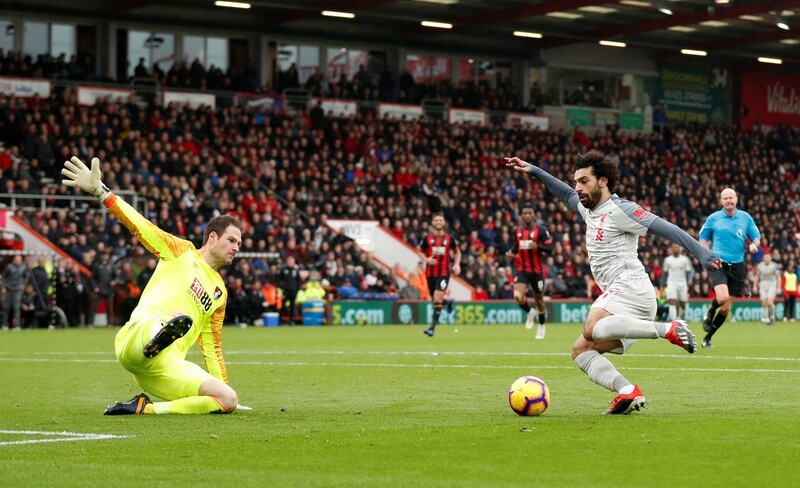 But despite the solo brilliance from the Egyptian king – which include a sublime third goal in which he rounded Bournemouth keeper Asmir Begovic not once but twice before slotting home casually – Salah refused to accept the MOM accolade when handed it after the game. Standing next to Liverpool’s James Milner, who was joining a select group of players to have made a landmark 500th Premier League appearance, Salah instead handed the award to his teammate. “He deserves it today,” Salah told Sky Sports as he handed Milner the award, despite protests from the interviewer. “He’s had an amazing career, and I hope we’re going to win something together,” the Egyptian added. Praise poured in for Salah's actions on and off the pitch, with social media users hailing him as "pure class." Others lauded his prolific recent form after a relatively slow start to the season, with the striker now level at the top of the Premier League scoring charts with Arsenal forward Pierre-Emerick Aubameyang. Liverpool now face a must-win Champions League game against Napoli mid-week, which will make or break their hopes in the competition that they went all the way to the final in last season.